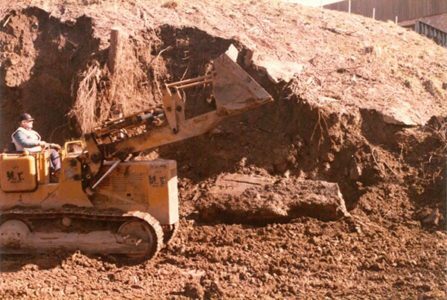 Mr. Excavator is a family owned and operated company offering three generations of experience in overall site development and public roadway improvement. We have developed an outstanding reputation for honesty, reliability and quality. We pride ourselves in preparing the overall foundation upon which construction projects are built. We work closely with our customers to assist in developing timely, cost-effective solutions to unanticipated and sometimes complex issues that arise. 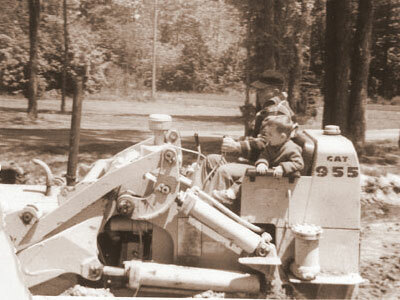 Mr. Excavator was founded in 1961 by Bill “Red” Flesher. 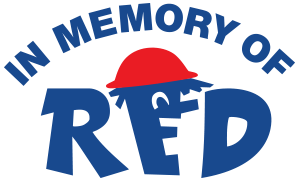 Red began working as a heavy equipment operator in the salt mines beneath Lake Erie. With his wife Pat’s endearing support, Red pursued his dream and undertook the risk and opportunity of building a business from scratch. Red laid the groundwork for Mr. Excavator. He was the estimator, mechanic, operator and project manager. Red led by example and demonstrated honesty, strong work ethic and a profound commitment to the business and its’ customers. Red’s handshake was his contract. Red passed away in 2012. Yet, his business philosophy lives on today through the second and third generations. Mr. Excavator continues to strive to exceed customer expectations and treat its’ employees fairly and with respect.